Automobile Art And Entertainment: Lil' Blonde Darling: Nadja Auermann! 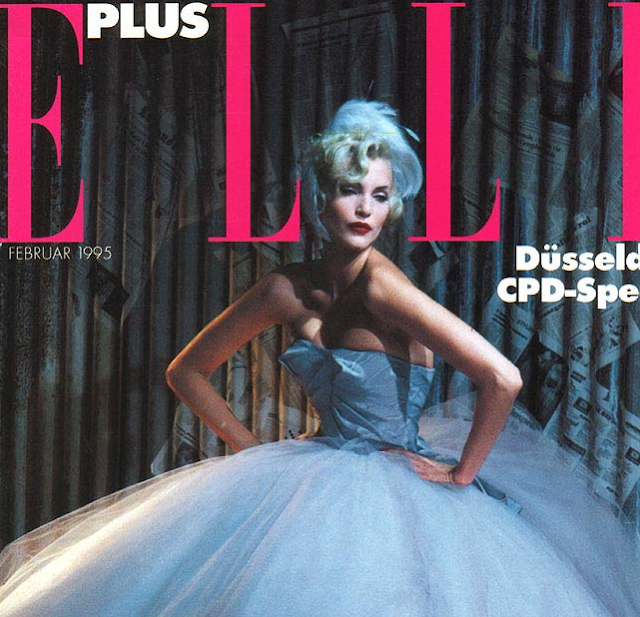 ....aaaaaand the award for my "favorite 90's supermodel" goes to.....Nadja Auermann! I mean, who wouldn't want to look like this stunning German glamazon? She was discovered at a Berlin cafe and was quickly signed to Elite in 1991. She was working steady for a few years but her career really skyrocketed in 1993 when she decided to bleach her hair platinum blonde. Her resemblance to Marlene Dietrich (which was pointed out by fashion designer Valentino) conveniently coincided with fashion's return to old school Hollywood glamour during the mid-90's, which further escalated her to "supermodel" status. 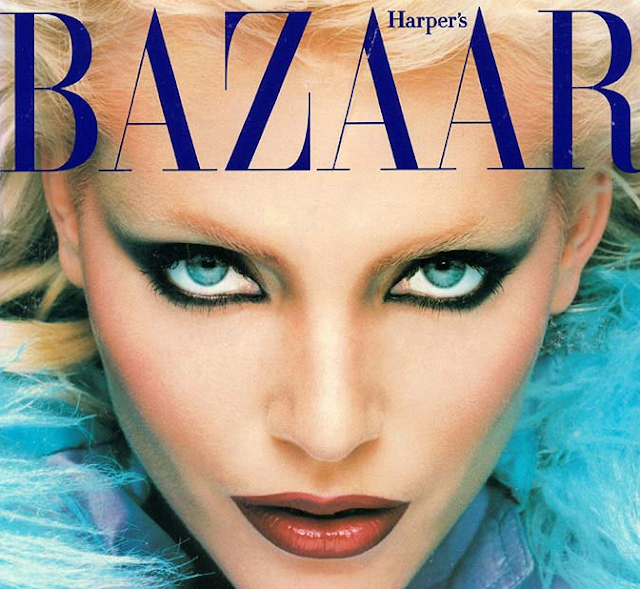 She was also one of the few models to grace the cover of two fashion magazines at the same time, Sept. 1994's US Vogue and US Harper's Bazaar. Get. Into. It. I'm wet from this much glaMOUR. The only makeup to EVER be worn. Is it time for some 1994 blue vinyl pants?